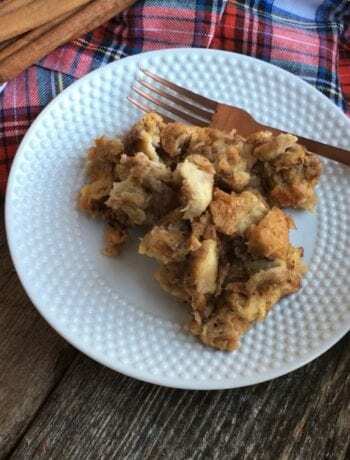 I feel like I’m posting quite a few Southern comfort food favorites this week, but what can I say, I am a Southern gal that likes good, ole’ Southern comfort food such as this Slow Cooker Chicken Stew recipe. 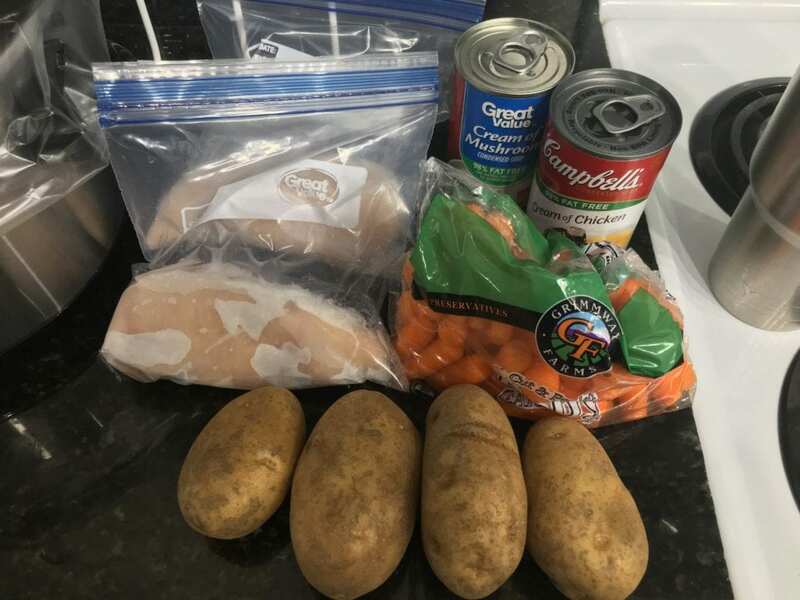 This Slow Cooker Chicken Stew is similar to beef pot roast with carrots and potatoes – I just use chicken and a few other spices and seasonings. 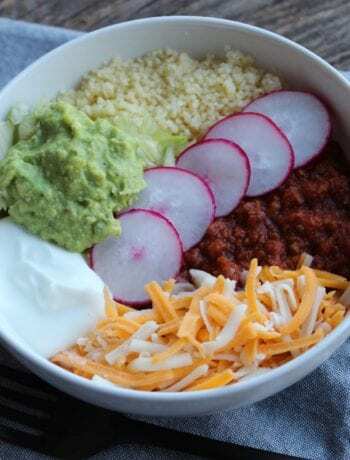 So delicious and hearty! 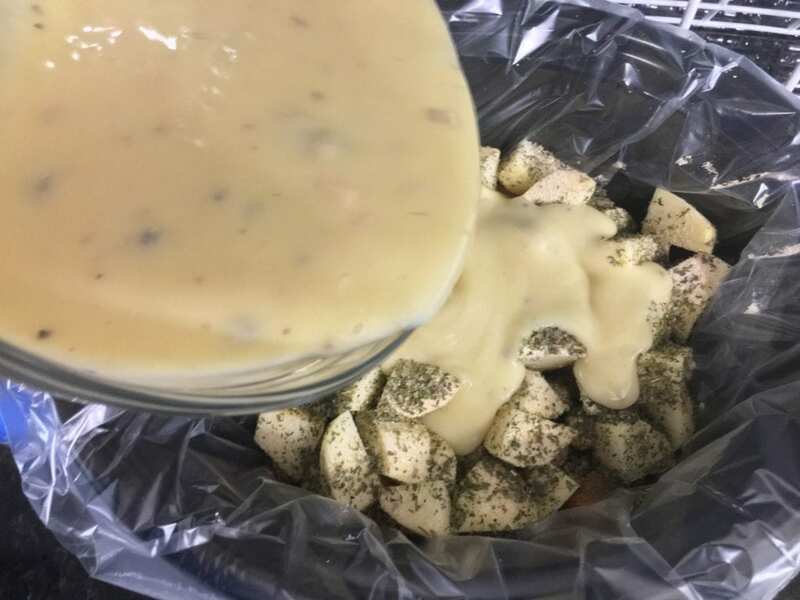 I have a sweet story connected to this Slow Cooker Chicken Stew that I’ll take a brief moment telling. This is one of the first meals my husband ever cooked for me shortly after we were married. 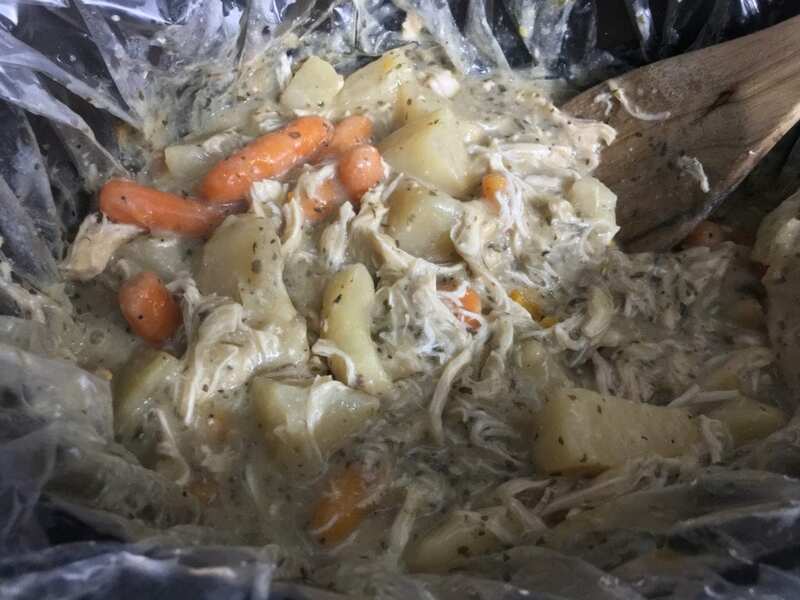 This Slow Cooker Chicken Stew also happens to be the recipe that made me fall in love with my crockpot slow cooker and the recipe that started the spark and desire inside of me to REALLY learn how to cook using my crockpot. Some of you know that I am a cancer survivor, diagnosed with cancer at twenty one years old and only five months into marriage. 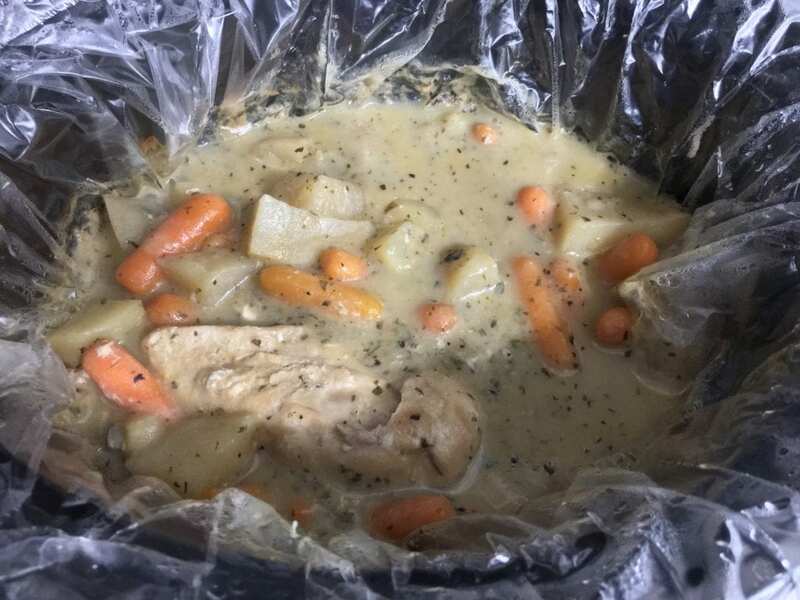 One evening, I was sick and weak from having chemotherapy treatments at the hospital all day and when we got home, my husband had this Slow Cooker Chicken Stew made and waiting for me. It was the sweetest, most loving gesture he could’ve did for me on that dark day and really brought home to me the fact that food is love. Let’s get started making this hug in a bowl! If you’ve been following The Speedy Spatula for long, you know I like to start each recipe by laying out all of my ingredients first. It just makes the prep work faster and more efficient. 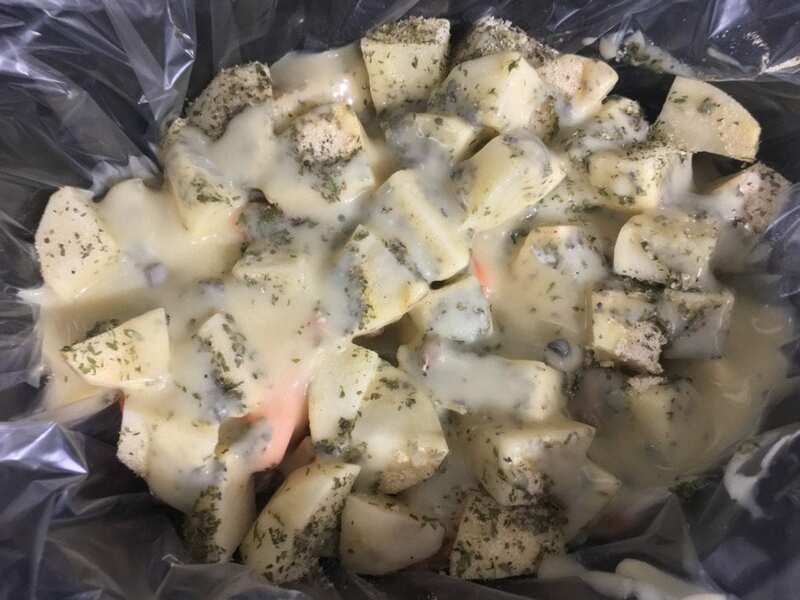 Here I have two, frozen, boneless skinless chicken breasts, 10.5 ounces of fat free cream of chicken soup and fat free cream of mushroom soup, four russet potatoes, and one regular sized bag of baby carrots. Now let’s take a little trip in our spice cabinets and get out all of our seasonings for this delicious chicken stew. 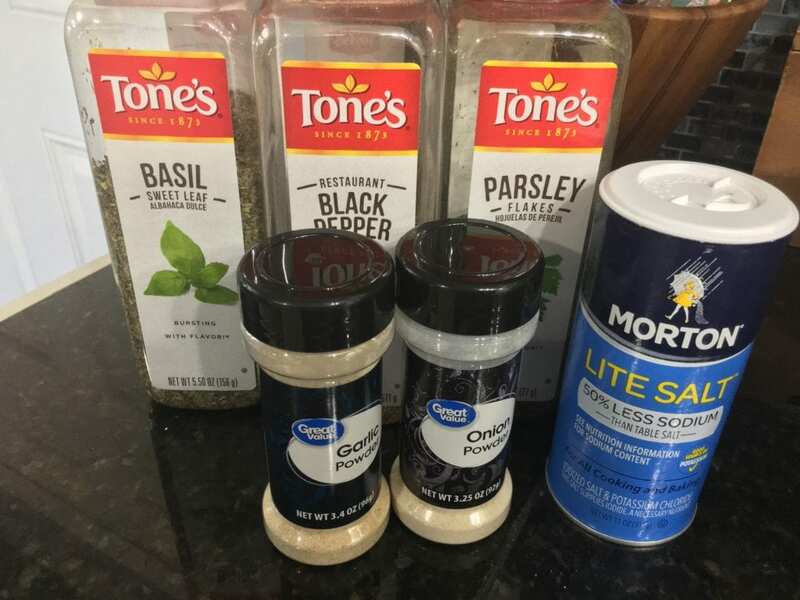 You guys know I don’t like to measure my seasonings and instead prefer to cook by instinct, but if you need a guide for the amount of each spice you should add, I suggest one teaspoon of each except the basil, ground black pepper, and salt. Start by adding half of a teaspoon of basil, half a teaspoon of ground black pepper, and 1/4 teaspoon of salt. If you find that is not enough seasoning, just taste the stew after it cooks and add more when it is finished cooking. 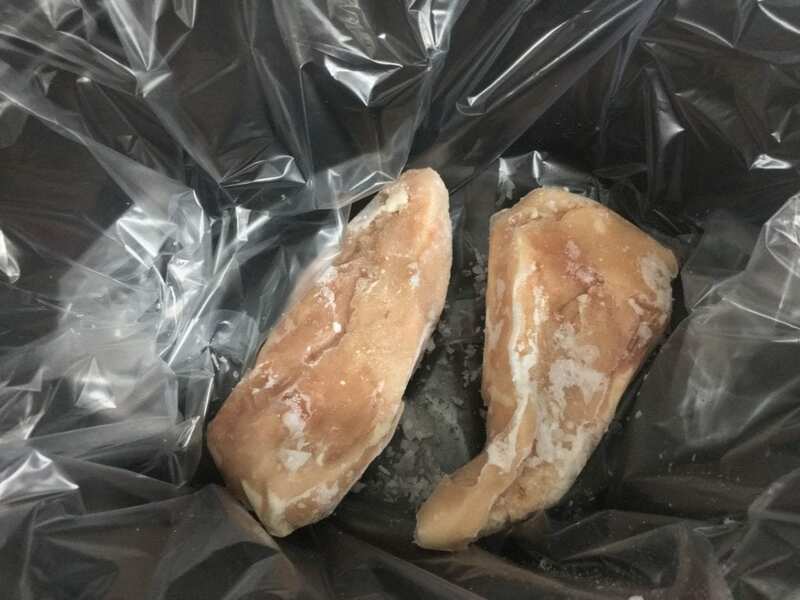 Now that you have all of the ingredients and spices set out, let’s add the frozen chicken to the slow cooker. 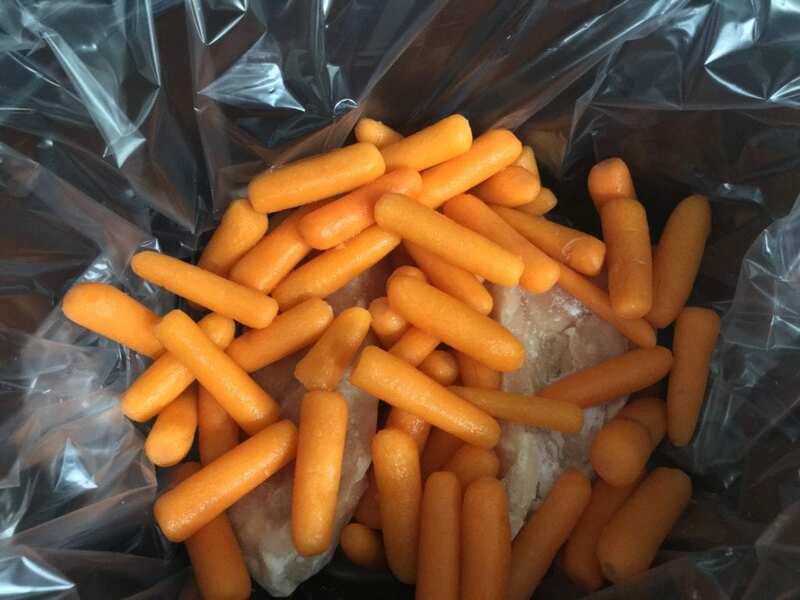 Now that the chicken has been added to the crockpot, pour the bag of baby carrots over the chicken. 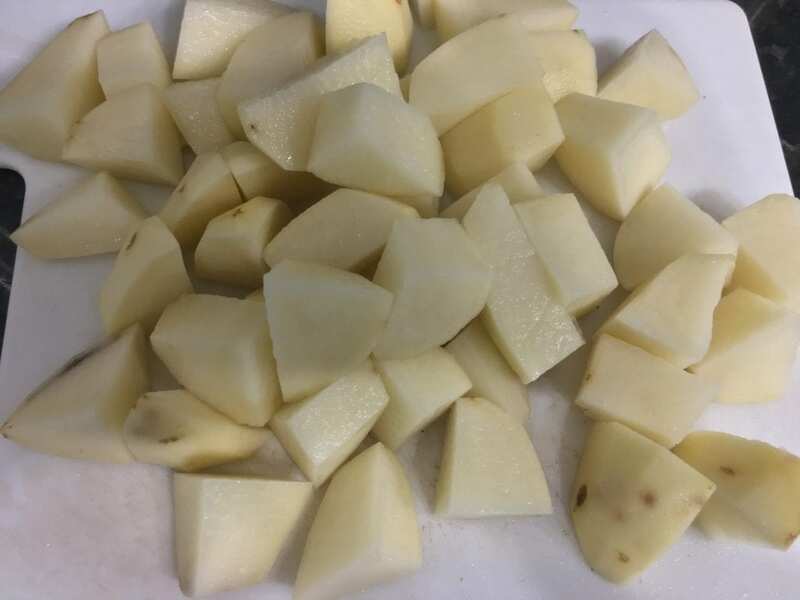 Now peel the russet potatoes with a potato peeler and dice them into large chunks. Add the chunked up (that is a super technical cooking term by the way!) to the chicken and carrots in the slow cooker. Now season up your ingredients in the slow cooker because ya can’t have this Slow Cooker Chicken Stew tasting bland! Time to start mixing the gravy mixture that makes this stew so hearty and comforting! 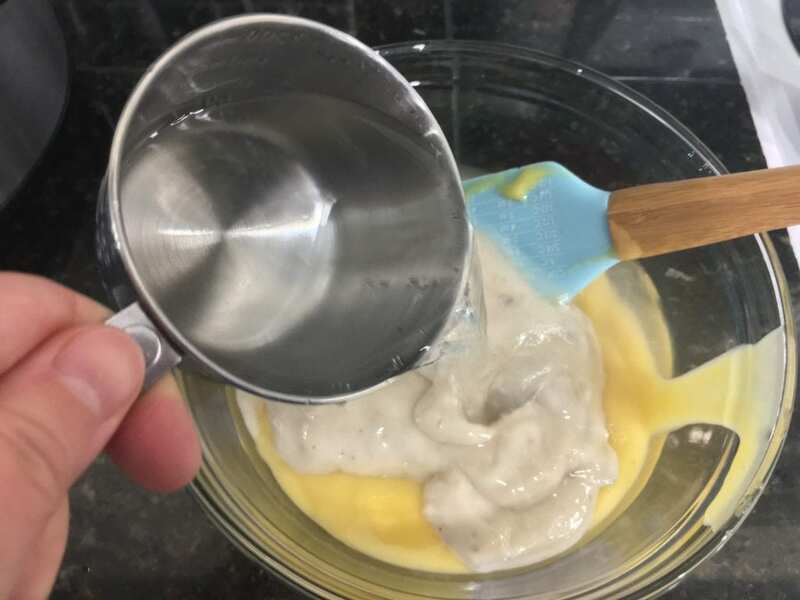 Pour the fat free cream of mushroom soup and the fat free cream of chicken soup into a large mixing bowl. Add in two cups of water to the soups. 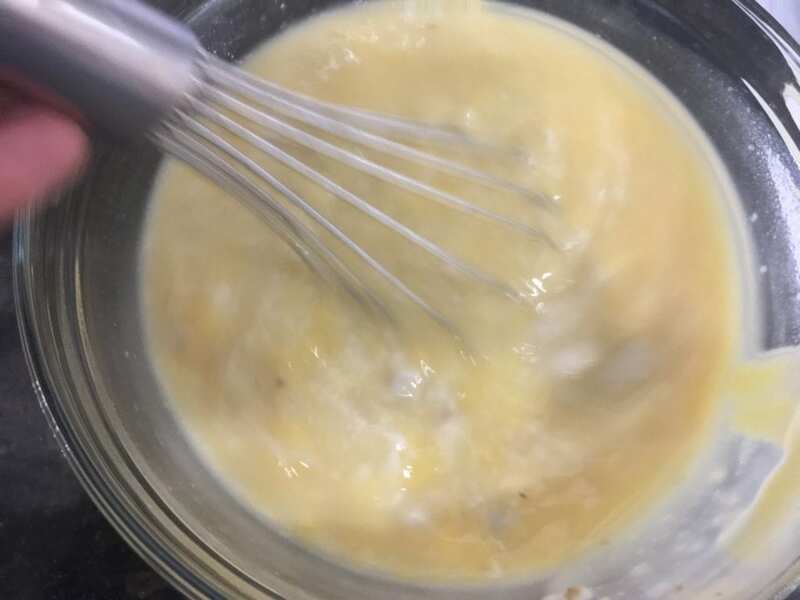 Stir all of the ingredients together carefully until mixed well. I use a whisk for this. 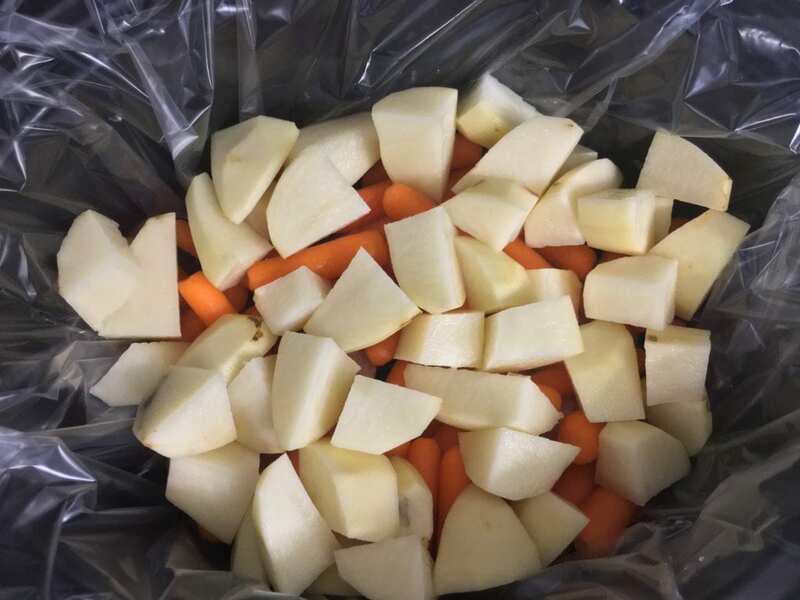 Pour the soup mixture over the chicken, potatoes, and carrots in the crockpot slow cooker. 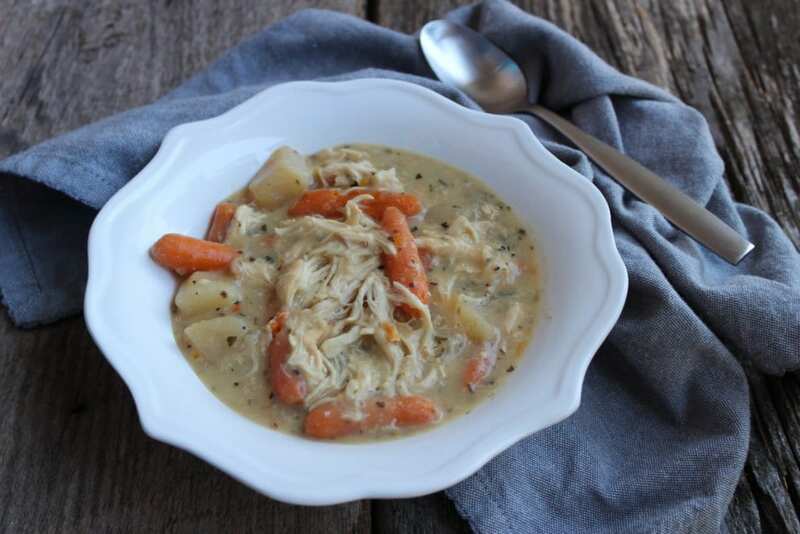 Your Slow Cooker Chicken Stew is now ready to cook! Believe me, this chicken stew is going to make your house smell sooooo fabulous!! 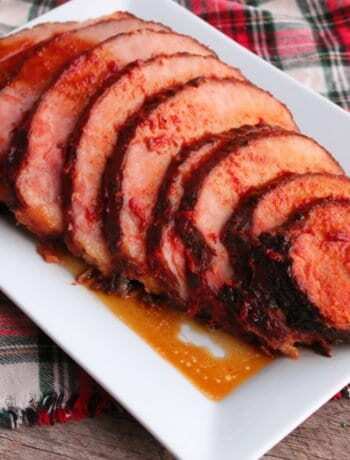 Place the lid on your slow cooker and set it to cook on high for five hours or low seven hours. 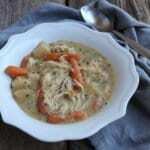 Now doesn’t that Slow Cooker Chicken Stew look wonderful?! It smells amazing too! Once the Slow Cooker Chicken Stew is cooked, remove the chicken. 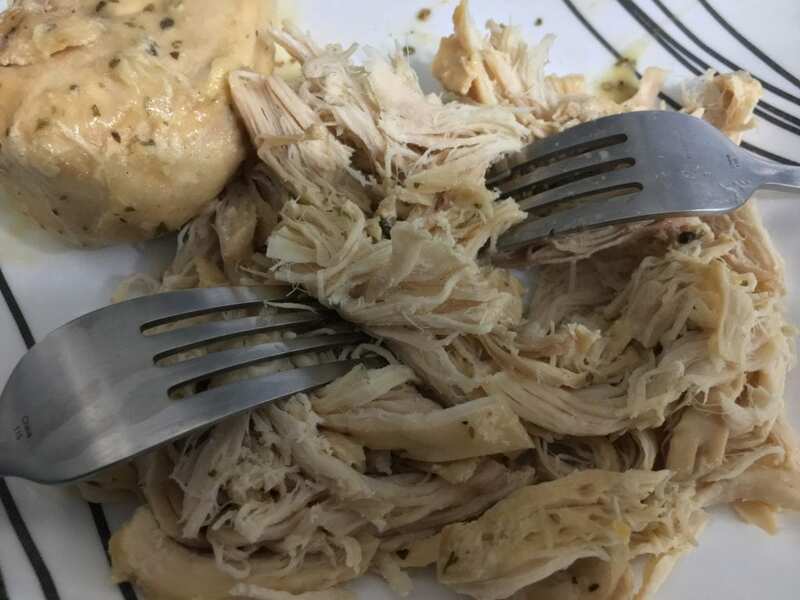 Trim away any nasties and shred the cooked chicken between two forks. 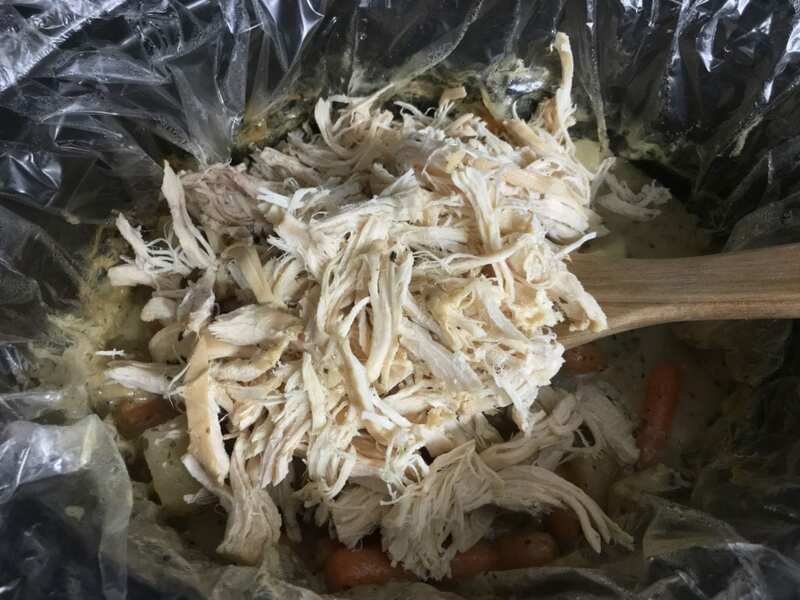 Once the chicken is shredded, add it back into the slow cooker with with potatoes, carrots, and creamy broth. Once the shredded chicken breast is stirred back into the stew, this Slow Cooker Chicken Stew will be ready to serve! And there you have it! 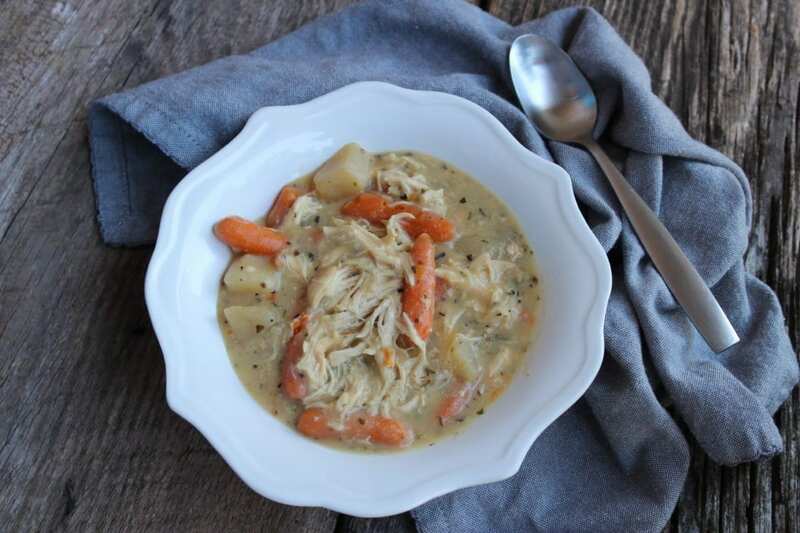 A nice, big bowl of warm and comforting Slow Cooker Chicken Stew! 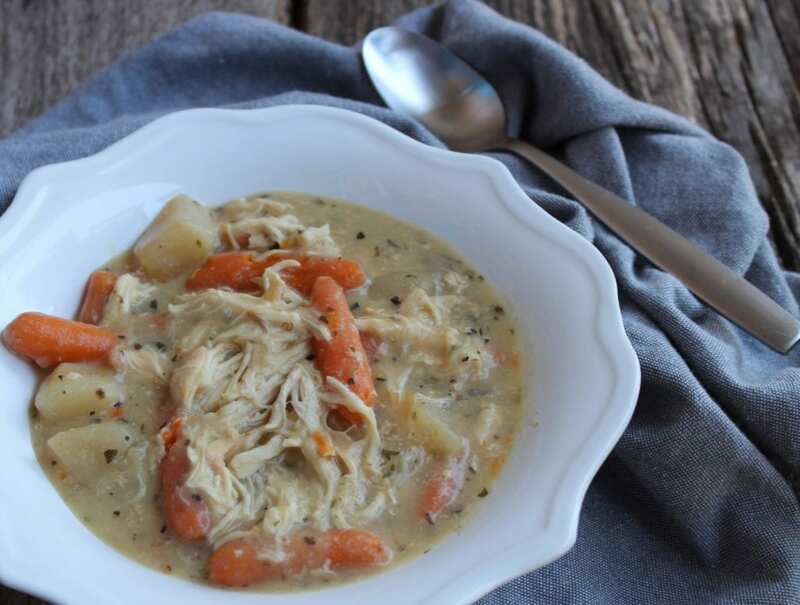 Warm, hearty, and comforting, this Slow Cooker Chicken Stew is perfect comfort food the entire family will love! Place the chicken breasts into a 5 quart or larger slow cooker and add the carrots and potatoes on top. 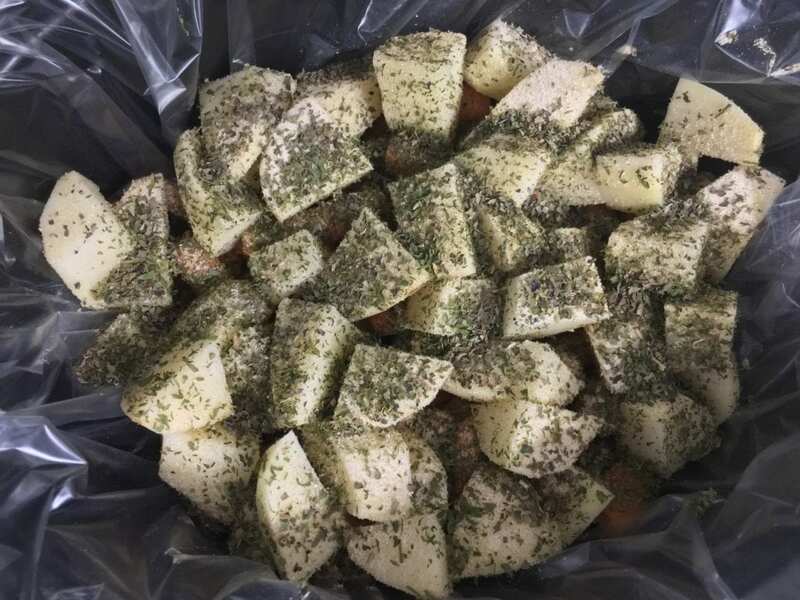 Add all of the seasonings into the slow cooker. In a large mixing bowl, combine both soups and stir well. Pour the soups over the ingredients in the slow cooker, and pour in 2 cups of water. 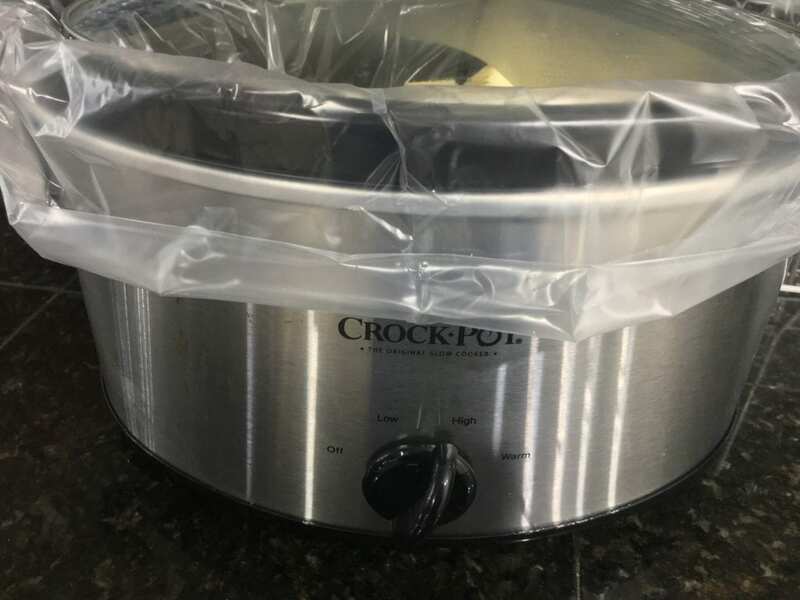 Place the lid on the slow cooker and cook on high for 5 hours or low for 7 hours. 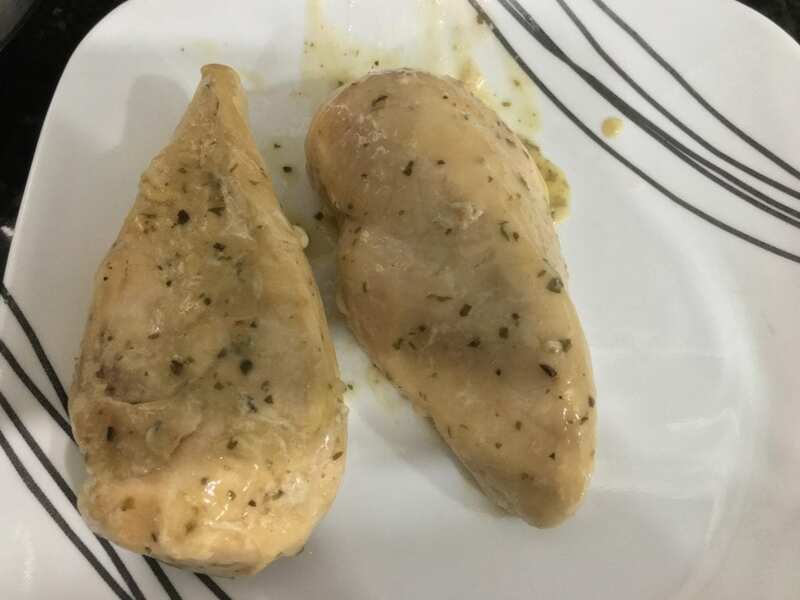 Once the cooking process is over, remove the chicken and shred between two forks. Stir the shredded chicken back into the slow cooker with the potatoes and carrots and stir well. Serve hot and enjoy! Recipe comes to 5 Freestyle Smart Points for each, 1 cup servings. Recipe yields 6 cups. 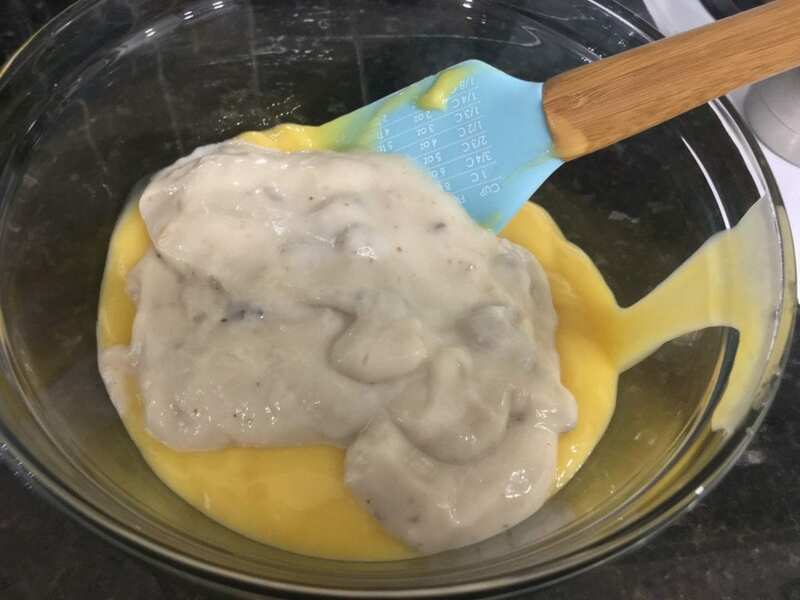 I made this recipe to the T but it just seemed like the potatoes didn’t truly soften up and it was watery more than anything. After the 5 hours on high, I had to add a lot more seasoning to make it taste better . A perfect Chicken Stew for this cold winter day! Hope you have a great Valentine Week and thanks so much for sharing with us at Full Plate Thursday!